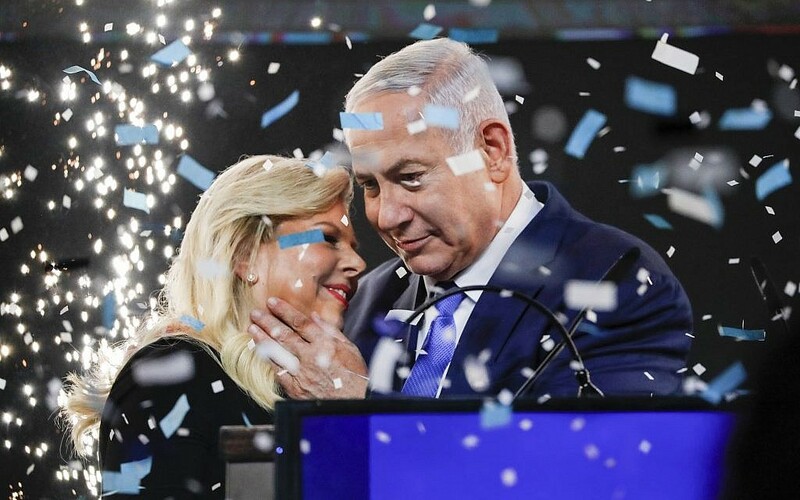 Prime Minister Benjamin Netanyahu has all but secured a 5th term on Wednesday morning, after more than 95 percent of the votes gave the right-wing bloc a 10-seat lead over the left. But almost all right-wing parties have said they would recommend to the president that Netanyahu form the next ruling coalition. Naftali Bennett and Ayelet Shaked’s Hayamin Hehadash, as well as the far-right Zehut party led by Moshe Feiglin and Orly Levi-Abekasis’ Gesher did not make it past the electoral threshold. Turnout has been historically low in the Arab community, according to pollsters. Netanyahu’s Likud party provided activists with 1,200 hidden cameras “to monitor” Arab polling stations — a move that prompted Israel’s Central Elections Committee to file a police complaint.